Our commitment is to go beyond our customer’s service expectations, helping with the sustainable management of their residues, respecting the environment and contributing to make rational use of natural resources. Zinc Nacional has the best technology available to recover and recycle residues, particularly EAF dust generated by the steel industry (Mini -Mills) and other zinc-bearing by-products. The management of these residues is performed in compliance with the standards and laws established by the relevant environmental authorities, providing the industry the best choice over any other method of disposal. Since its inception, our company has been part of the National Environmental Audit Program, earning the first Clean Industry certificate in 1998. Zinc Nacional is the best option for recovery and recycling of residues. Choosing to recycle eliminates the liability incurred by the generator, while transforming waste into final products useful to man, for the benefit of society. 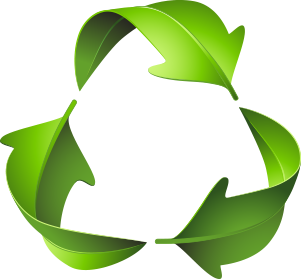 Recycling also helps minimize landfill disposal and reduces natural resource extraction, resulting in a true sustainable development.